Hashtags: If Yes then How and If Not then Why? I have already discussed Facebook Hashtags, today in this post I will discuss the real benefits of using hashtags for bloggers. I will show you How I'm getting traffic on my blog using Hashtags. Hashtag is a word or phrase preceded by a hash sign (#), used on social media sites such as Twitter, Facebook, Google+ to identify messages on a specific topic. Always use Hashtags in an appropriate way or It will be considered as spam and you may have to pay for it. Never try to spam using hashtags. I, myself didn't create any of above given Url's. It is self generated by the communities when I used hashtags in my post. How to use Hashtags in posts? How to use Hashtags on Twitter? Now, if any of our followers click on the word "#tips2secure" then again user redirects to above given Url of twitter automatically. All the post who will have mentioned the same tag is listed on that page. Simply, All of my posts will be shown there. You can also use some popular hashtags like #blogging, #SEO and many more which are related with your post and blog niche. Remember, Don't try to spam or you will be penalized. How to use Hashtags on Facebook? Including hashtags in Facebook is ditto same as we have learned in using hashtag on twitter. Please see image below to understand clearly. and there they will find all my posts which had included the same hashtag. Again here also you can use some popular hashtags to get more readers. 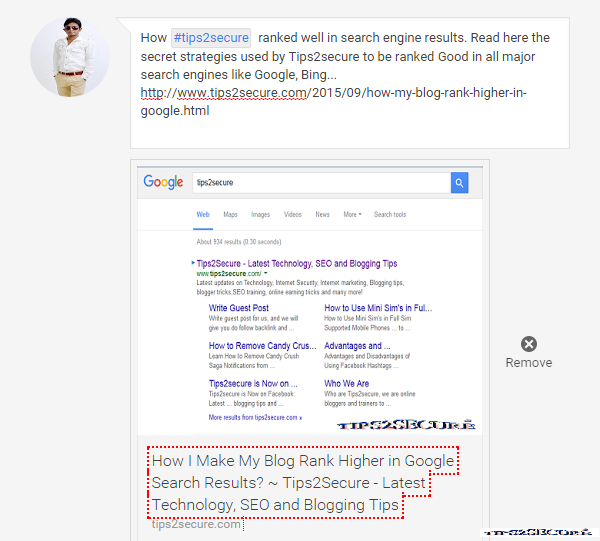 How to use Hashtags on Google+ ? 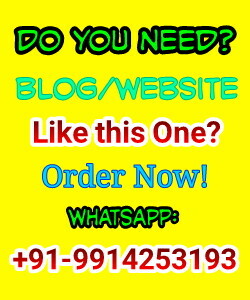 Correct use of Hashtags on Social networking site is very useful to get new visitors on blogs. 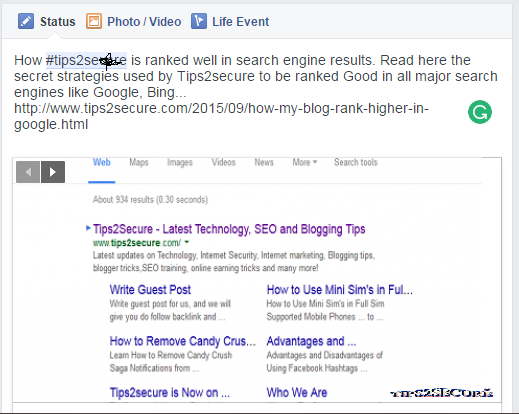 It will help you to rank better in Search engine result pages as well as in Alexa also. I have also improved my Alexa ranking a lot just by using the hashtags in a correct means. If you have any confusion or doubt the make it clear with me before using or it will harm you. Message: I hope that you have enjoyed 'Hashtags: If Yes then How and If Not then Why?' article. However, if you want me to deliver more items then please share my post. You can use Social Sharing Widget provided at the end of every post. After all, Sharing is Caring!